Comap Controller, China Manufacturer of Comap Controller. Various products of Comap Controller, providing product images and basic parameters with each Comap Controller and Comap Generator Controller; We are a professional Chinese manufacturer of Comap Controller, and look forward to your cooperation! 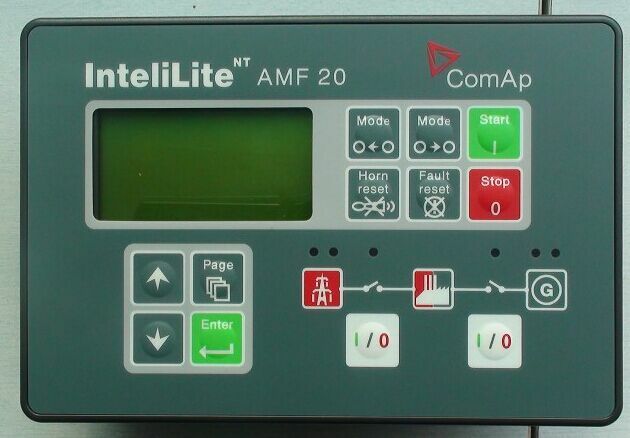 Products which are suitable for many diffirent applications, you can find more infomations about each our productions of configuration software , detasheets and brochures , we can supplied Genuine OEM comap controller , Replacement of Comap controller , please send your inquiry with parts number and detailed pictues of Controllers . Use for Single gen-set controller , Paralleling generator controllers , Engine controllers , ATS Cotrollers . The ComAp family of engine controllers offers innovative and universal system integration for a wide range of engine driven platforms and applications. With a proven track record of working in the most demanding environments, InteliDrive controllers deliver unparalleled command, control and communication advantages. The full range provides individually tailored solutions meeting the precise needs of marine auxiliary, emergency and propulsion engines as well as land based platforms such as engine driven pumps, compressors, crushers and screeners.